Our greatest imaginable challenge is that every customer contact, every job, every phone call, every interaction and action that we take results in us being recognised as the most respected, most professional plumbing and associated services company in Australia. We pride ourselves on continuous incremental improvement so that what we do today is better, faster and more reliable than what we did yesterday. 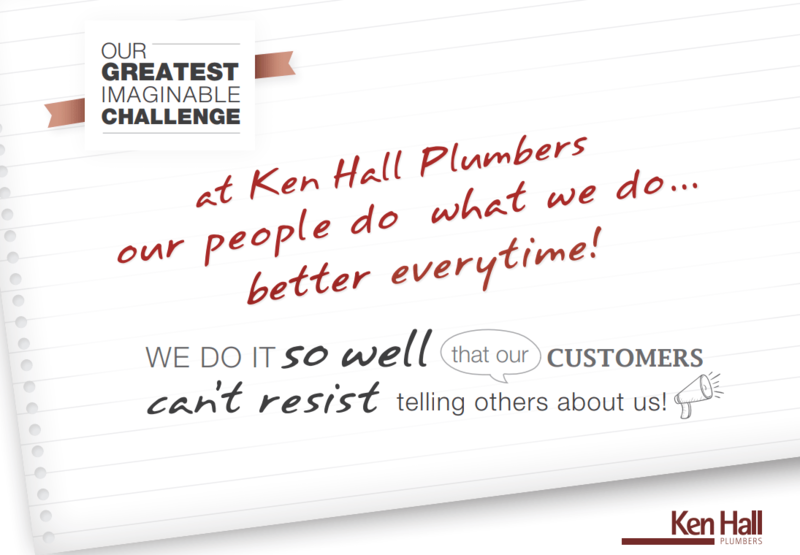 This is because Ken Hall Plumbers love what we do and employ good people. Positive, energetic and passionate people who want careers not just jobs and who thrive in an infectious culture of success, fun and collaboration. The joy of plumbing is our opportunity to fix problems quickly, professionally and make sure it doesn’t happen again. We reduce the stress for people through capable, friendly and professional guidance and watch their transition to the natural state of enjoyment and satisfaction of their home, business or investment. We strive for a reputation of being the best in the industry and our people know that our success in effortlessly satisfying customers derives from being on time, every time, of doing the work, of caring about it and solving our clients concerns. When a customer puts a job in our hands it is the ultimate compliment. We live by The Ken Hall Way every day. It's what makes us a strong, happy and passionate business. 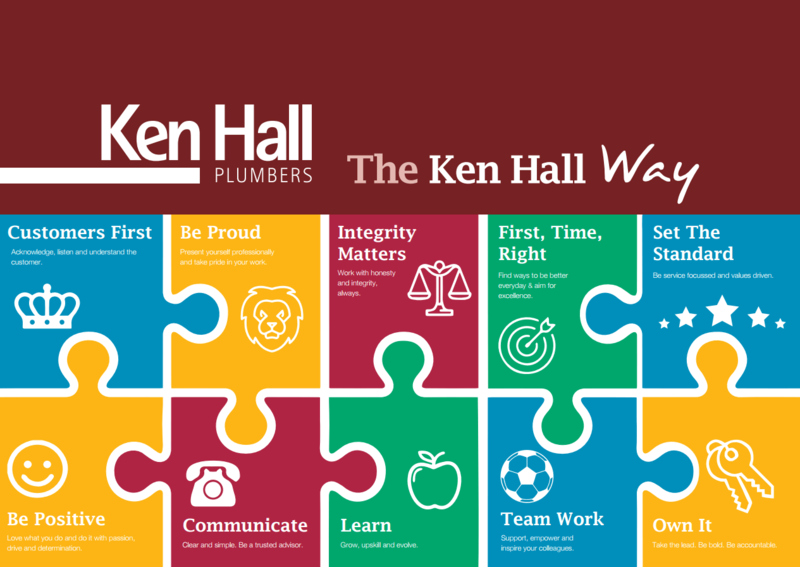 We have further defined the Ken Hall Way into 10 core values which our staff strive to uphold across all areas of our business. 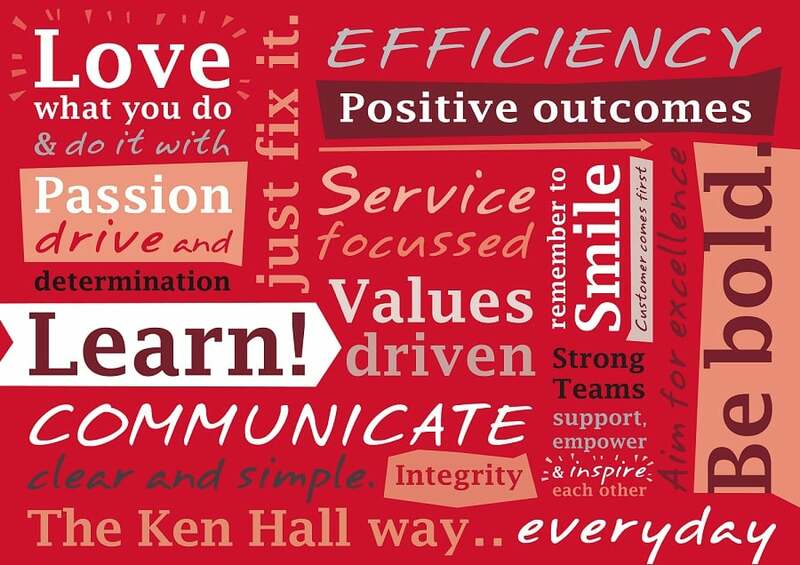 These are what have defined our business to date and what will ensure our continued success and growth in the future.